The first Traci Peterson series I thoroughly enjoyed was her “Brides of Gallatin County” back in 2009. Since then, I have read a a couple of books from her “Land of Shining Water’ group, but the “Brides of Seattle” series recently caught my attention …. so I’m reviewing book #2. 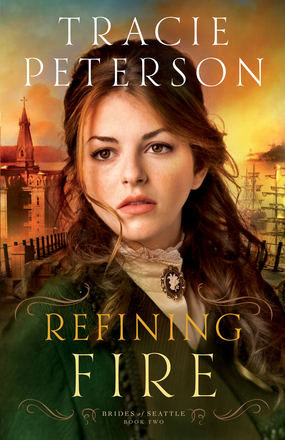 I’m almost on chapter 3 in Madison Bridal School student Militine’s story “Refining Fire”. I really wish it was Abrianna’s tale, because her story is so fascinating, however, Militine and Thane’s relationship has to be told too. I’m off on another book adventure! Stay tuned for the complete review in the coming weeks. This entry was posted in Books, Entertainment and tagged Refining Fire, romance, Traci Peterson. Bookmark the permalink.